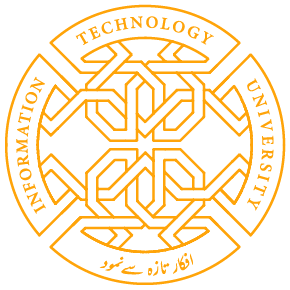 The eRozgaar Center at The Punjab Tianjin University of Technology, Lahore, a joint project of Punjab Information Technology Board (PITB) and Youth Affairs, Sports, Archeology & Tourism (YASAT), “Chief Minister’s eRozgaar Program” will be inaugurated on Friday March 23, 2018 at 2.30 pm at Punjab Tianjin University of Technology Lahore, Green Town ,College Road Akbar Chowk, Lahore by the Chief Minister of Punjab Muhammad Shehbaz Sharif online from UK, along with the Provincial Education Minister and the founding Vice Chancellor of Information Technology University (ITU) and Chairman PITB Dr. Umar Saif. It will be the fourth center being opened in Lahore. Similar Centers in the Punjab Province have already been established, which are functioning successfully at the University of Engineering and Technology, University of The Punjab and Lahore College for Women University, Centers at FAST Chiniot, Government College Women University Faisalabad, University of Agriculture Faisalabad, University of The Punjab Gujranwala, University of Gujrat, University of The Punjab Jhelum, Lahore College for Women University, University of The Punjab Lahore, University of Engineering and Technology Lahore, Bahauddin Zakariya University Multan, NFC IET Multan, University of Engineering and Technology Taxila, University of Gujrat Rawalpindi, COMSATS Wah Cantt, COMSATS Sahiwal, University of Sargodha, Government College for Women University Sialkot, University of Education Vehari, COMSATS Attock and University of Education Khushab. E-Rozgaar has partnered with Facebook, incorporating their well sought trainings into e-Rozgaar’s curriculum. Through Facebook course track, e-Rozgaar is educating trainees by sharing tools, knowledge, tutorials and basic skills which eventually help them to become expert developers. Facebook provides free vouchers to Master Trainers to become Blueprint certified. On clearing the learning path, candidates receive Facebook certification apart from the certification received from e-Rozgaar Program. Other than Facebook course track, Facebook Developer Circles and PITB have come together since the beginning of January 2018 with the objective to ‘educate, enable and empower’ local communities for developers (Web/App/Gaming/Robotics). The developer circles have been established under the supervision of Chief Minister’s e-Rozgaar Program in three cities (Gujrat, Sahiwal and Faisalabad) and expected to expand to three more in future. The three local communities conducted periodic (monthly) meetups at designated meet up centers (Gujrat, Sahiwal & Faisalabad). e-Rozgaar has also partnered up with CrossOver to produce high end freelancers and get jobs at their portal. Share the post "LAUNCH OF CM’s e-Rozgaar CENTRE AT TIANJIN UNIVERSITY TOMORROW"